When you’re a small business owner, an entrepreneur, or a marketer that’s starting your career in the online marketing world, it’s important to know that your brand and your services are in trustworthy and capable hands. Working with one of the top digital marketing agencies in the country is a surefire way to feel confident and comfortable with the launch of your business, and the satisfaction and guarantee of growth as your business takes off into the digital atmosphere! However, we know how hard it can be to find the perfect fit—there are a million options out there, some better than others, and with so many people specializing in different aspects of digital marketing, finding the one that’ll give you the boost you’re looking for can be time-consuming. And, in this business, time is money. That’s why we’ve done it for you! 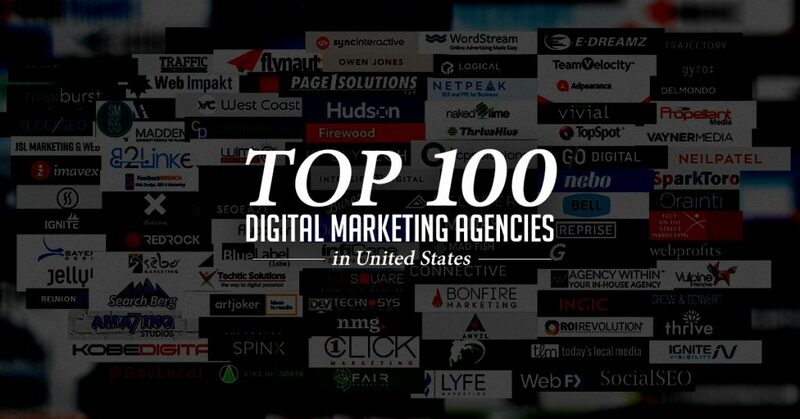 Through research and specific standards, we’ve compiled a list of the top 100 digital marketing agencies in the country! Yes, you read that correctly, the top 100. These are the best of the best—from social media marketing to SEO, to B2B, and beyond, these digital marketing agencies have the skills, the team, and the top reviews to ensure that they’ll help you get the job done. So, sit back, relax, and see who you make a connection with. Let’s get started! A one-stop shop for your digital marketing needs, Web Impakt is a must-have among the top digital marketing agencies. Founded by CEO Lindsey Anderson, also known as OneClickLindsey, Web Impakt is leading Idaho Falls Web Design agency, specializing in web design, web development, and eCommerce. Take a more in-depth look at what they can offer and see how Web Impakt can help you and your small business. 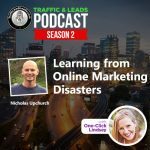 Another powerful juggernaut from OneClickLindsey is Traffic and Leads, a top digital marketing agency that specializes in generating a steady stream of traffic and leads to your website. By working with you and helping you on multiple levels of your traffic and leads growth—like SEO, social media advertising, PPC, and landing page creation—Traffic and Leads can help you expand your reach and give you guaranteed results. By working closely with what they call the “Google Confidence Algorithm,” SocialSEO has climbed its way up the charts of the top digital marketing agencies, ranking as both number 1 and 2 in Google results for the best national SEO services. When you work with SocialSEO, you’re committing to getting the best SEO services, involving eCommerce SEO, social media marketing, and PPC. Check out what they can do for you and see why they’re among the best. Advertised as a lead innovator in the world of internet marketing solutions, WebpageFX establishes itself as one of the top digital marketing agencies due to its dedication to detail and attention for each client. By creating specific solutions and strategies that work for you based on your business, WebpageFX has mastered the aspect of building relationships and making connections from the get-go. As a full-service agency, they also cover a range of services—SEO, social media marketing, and analytics just to name a few. Digital marketing created for local and small business, RevLocal is a staple among the top digital marketing agencies. With a combination of having a solid marketing plan, as well as putting a strong focus on interpersonal relationships and communication, RevLocal has been striving to bring digital marketing to local agencies around the country since 2011. If you’re a small business looking to get an upper edge, give RevLocal a try! One of the top digital marketing agencies that’s focused on social media marketing, LYFE Marketing can help you get established in the now-required world of social media. Knowing which platforms you need to be on and how active you need to be on each account is essential to your digital marketing plan, and LYFE Marketing offers both social media management and social media advertising, giving you a place to land in the social media sphere. Offering what they refer to as a “holistic approach” to marketing, Fair Marketing Inc bases their connections on four separate points. F, stands for the scientific formula they follow, A for automation in their work, I for valuing performance and generating inbound leads, and R, for making sure you get an RIO through proper lead generation—spelling out FAIR. With specifics in brand building and marketing, Fair Marketing Inc stands among the best digital marketing agencies. Straight North is one of the top digital marketing agencies with specialists in SEO, PPC, display advertising, and email marketing. By working hard in all of the necessary aspects of digital marketing—as well as a confident display of the amount of quality leads they’ve generated for their clients—Straight North is among the best with their attention to detail and professionalism. With a team of highly-trained experts who’ve been in the digital marketing field for years, Trajectory Website Design believes that less is more. 6 people make up their amazing team, and being one of the top digital marketing agencies, they know what they’re doing when it comes to getting the best results. They want to help you take control of your company and take control of the internet in the most effective way possible. The first full service global B2B marketing agency, Gyro prides itself as one of the best digital marketing agencies, winning several awards for their achievements. By implementing their top-notch formulas to crack the way that marketing works, Gyro can ignite some powerful connections for you and your business, skyrocketing you to the top of the list. Additionally, they put extra work into creating personal connections, giving you a guarantee of success. A leader in social media analytics and management, Delmondo is among the best digital marketing agencies for all your social media needs. By using their content software to manage and measure the success of your Facebook, Instagram, YouTube, Twitter, Snapchat and more, you can count on Delmondo to line up your social media accounts effectively, producing the best ranking and highest quality content. One of the first and best digital marketing agencies for geofencing, Propellent Media puts your small business on the board through a new and unique way of advertising. Geofencing practices the use of technological fences around physical locations and using social media and mobile advertisements to generate leads in people who might just be passing by. Check out their about page for more information on this new and amazing technique. With a strong foundation in content planning, content marketing, and social media management, PureMatter is one of the best digital marketing agencies to help you get on the social media board. By putting a huge emphasis on the humanization of businesses, PureMatter focuses on creating meaningful and real relationships with their clients to make things as authentic and genuine as possible, making their work extra special among the rest. With locations across the United States and across the ocean in the United Kingdom, Vayner Media is without a doubt one of the best digital marketing agencies in the country. Created by powerful entrepreneurial juggernaut Gary Vaynerchuk, Vayner Media is a digital marketing agency that helps brands climb the ranks and get established in the digital marketing world. From analytics to eCommerce and influencers, Vayner Media is a collective stop for your high-end marketing needs. The founder of his own company, Neil Patel runs one of the best digital marketing agencies in the country. 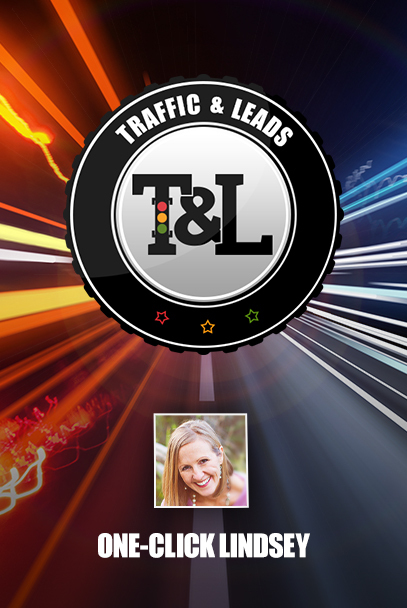 A top marketer himself, Neil and his co-founder Mike Kamo offer top of the line traffic and lead generation, with promises to increase your rankings and awareness in no time at all! Neil himself ranks both number 1 and number 2 under “online marketing,” and his experience speaks for itself. From Moz founder, Rand Fishkin, comes SparkToro, one of the best digital marketing agencies that put a heavy focus on audience engagement and interaction. They’ve built an agency that focuses on tracking what your audience is talking about, what they want to see from you. They also know how to produce content that’s sure to spark a conversation between you and your target audience, as well as providing a more transparent interaction that relies on quality. One of the best digital marketing agencies that rely on SEO-driven results and consultation, Orainti gives you top-notch advice and actionable options to increase your SEO. From strategy to SEO advice, mobile optimization, and training to make sure that your SEO strategy is up to par, Orainti has your best intentions in mind, making sure that you’re ranking in the best way possible against your competition. Focusing on online and digital marketing for small businesses, Feet On The Street Marketing earns its spot as one of the best digital marketing agencies in the country with ease. By offering a customized plan for each client they aim to help, Feet On The Street Marketing gives you a full-service experience, from education on how to maintain your analytics and understand your brand to make sure that you’re getting effective leads and successful growth. A growth marketing agency that aims to help you fill the gaps in your team, Web Profits aims to be your experts in acquisition, engagement, and conversion, making them one of the best digital marketing agencies in the country. By focusing in on all areas required for successful digital marketing—like social media advertising, as well as SEO focus and sales funnels with conversion optimization—Web Profits gives you a well-rounded team of support and results. A social media marketing agency extraordinaire founded by a digital marketing couple, Vulpine Interactive aims to be the leading agency in social media production, thought, innovation, and creation. One of the best digital marketing agencies in the country, Vulpine Interactive understands the importance of social media in this day and age of business and wants to work with you to build a stronger foundation, as well as giving you a chance to expand and grow. One of the best digital marketing agencies that focus on creating and curating quality content, the team at Grow and Convert aims to give your content a makeover, encouraging engagement and higher lead generation by focusing on what your audience wants to see. By working with them, they’ll take over your content operations, giving you the best possible results in the content marketing world! An agency that knows communication is key, Thrive Internet Marketing Agency gives you a full-service experience with their top-notch quality and expertise. One of the best digital marketing agencies, Thrive focuses on every aspect that comes with online marketing—from SEO, a heavy involvement with WordPress (one of the most popular ways to create websites for brands and businesses), and successful tracking of their services, Thrive gives you an all-around experience for the best results. With a list of awards to back up their amazing services, Ignite Visibility is among the best digital marketing agencies when it comes to SEO and so much more. A full-service agency, Ignite Visibility gives you the best insights when it comes to PR, social media marketing, email marketing, conversion rate optimization, and more. With a sole mission of giving you the best customer service in the industry, it’s easy to see why Ignite is number 1 across the board. With a strong focus in assisting brands and businesses in rejuvenating their ad campaigns, as well as take control of their websites and social media to give it the same fresh makeover, MaxAudience Digital Marketing has been helping businesses around the world achieve top results. One of the best digital marketing agencies in the country, MaxAudience gives you top performance ratings across the board with an overall 1 million generated leads for their clients! With over 10 years of experience in the online marketing world, MAXBURST is a top-notch web design and digital marketing agency designed to give your website the marketing tools it needs to rank at the top of the charts. By designing, developing, and working closely on SEO and social media, MAXBURST works hard to create effective relationships by listening to their clients, making it one of the best digital marketing agencies in the country. Based in Houston, Texas and comprised of a team of experienced and dedicated marketers, Regex SEO is one of the best digital marketing agencies in the country. By combining extensive SEO knowledge with services that are made to give you the best possible results and experience, Regex SEO gives you clear communication and first class service by being open with their plans. Additionally, they offer the best practices in order to give you the top ranking results you deserve. Based in Los Angeles, but providing cutting edge marketing across the world, Kobe Digital is among the best digital marketing agencies in the country. Their dedication to integrity and the best experience makes them unique in their approach, and their services range from data-driven strategies that are proven to kickstart your brand or business to PPC advertising, and social media marketing. Let them design something incredible for your business! An agency that helps both some of the biggest brands in the world and small start-ups and businesses who haven’t found their footing quite yet, SPINX Digital is among the best digital marketing agencies to work with. Innovators in the world of web design, the team at SPINX Digital is here to help you from start to finish. They create the best strategies to fit your business, give you the best website solutions, and lead you with their best online marketing techniques. By working with you as opposed to just for you, 1 Click Marketing aims to tackle your marketing needs as a team, making them one of the best digital marketing agencies you could hire. Smaller businesses don’t always have the budget to afford top-level marketing agencies, and 1 Click Marketing makes their services readily available to those people by understanding their needs. They promise to save you time and money, and do an amazing job while doing so! Lounge Lizard gives you an overall digital marketing experience, specializing in a variety of services that aim to give you the best results possible. With locations on both the East and West coast, Lounge Lizard is one of the best digital marketing agencies to call for all around service—whether it’s web design, website maintenance, or digital marketing strategies, the team at Lounge Lizard has your back. By focusing on their 5 core values of the company, JSL Marketing & Web Design is one of the best digital marketing agencies in the country with their creative take on helping their clients. Their 5 values push the ideals of integrity, creativity, clarity, authenticity, and positivity by making sure that their work is of the best quality. They also focus on engaging in conversations with their clients to build strong relationships. The team at JSL Marketing puts a heavyweight on being creative to get their results, making them special in the field of online marketing. Staying on top of the way technology is constantly changing and evolving is important, and that’s what makes Imavex one of the best digital marketing agencies in the country. By keeping tabs on the way things are running, Imavex can provide the most relevant digital marketing services to their clients in addition to top quality service in fields like website design, mobile website optimization and creation, and video streaming. One of the best digital marketing agencies, FlowState Marketing uses innovation to connect you with your customers in a way that gives you results, as well as sets you apart from the competition. With a friendly approach to the way their team works, FlowState Marketing works together to ensure that their team of experts—designers, marketers, and innovators—can give you the best results by relying on powerful collaboration and problem-solving. Ignite Media Group aims to be apart of your team, collectively working with you as the business owner to ensure you’re getting the results you need. A small team of experts in every field, Ignite Media will work with you to create amazing new website designs (that are suitable for WordPress), generate SEO for higher leads, and help lead the way towards growth and expansion, making it one of the best digital marketing agencies in the country. A marketing agency rooted in creating the best website for your business, Sayenko Design gives you a homepage to be proud of. With services ranging from web design, implication, maintenance, to SEO tools that come with eCommerce and Google search results, it’s easy to see why Sayenko Design is one of the best digital marketing agencies in the country. Advertised as the world’s biggest boutique agency, Jellyfish Online Marketing gives you the feeling of being taken care of like you’re one in a million with precise decision-making skills and fine attention to detail while delivering grand scale results in the process, making them one of the best digital marketing agencies in the country. By working with your brand to customize a plan of attack that works efficiently and consistently, Jellyfish Online Marketing is one of a kind with their approach. Oxsome Web Services works to give you a customized web design treatment, creating things specifically for you that are made to bring in results! When it comes to the best digital marketing agencies, you want something that makes you stand out from the crowd, and with how vast the internet is, it can be hard to tackle. However, Oxsome gives you the results you need by tapping into their expertise, and their 400 first page rankings prove it! By working with local businesses to give them the best online marketing experience, Today’s Local Media uses their expertise for growth and expansion for small businesses with ease, making them one of the best digital marketing agencies. With specialization in local SEO—giving you a chance to rank among the competition in your area—Today’s Local Media gives the best digital marketing attention to local businesses who deserve it! With expertise in the automotive and healthcare departments, Reunion Marketing aims to help you with your general digital marketing needs, making them one of the best digital marketing agencies in the country. Regardless of which field you work in, Reunion Marketing can help with your SEO, social media marketing, content marketing, and overall consulting on the best things to do for your business. Advertised as one of the best digital marketing agencies in Dallas, Miller Ad Agency is top of the line when it comes to your advertisement campaigns. With a dedicated team of experts on every subject involved with digital marketing, let Miller Ad Agency help you with things like SEO, email marketing, PR and social reputation, and online video marketing. Making sure all of your bases are covered is important in the long haul, and this agency knows how to do it best. Madden puts focus on telling a story that brings people to a final destination—you. By working to create immersive content and collaborate across the board to up your digital marketing across every level, Madden Digital Media Marketing is creative and unique in the way they approach the generation of a new audience, making them one of the best digital marketing agencies in the country. LinkedIn is one of the most useful social media platforms that businesses owners and entrepreneurs use to get in contact with each other and establish professional relationships. Therefore, it only makes sense that one of the best digital marketing agencies focuses specifically on LinkedIn, and LinkedIn advertisements! B2Linked is your connection to LinkedIn, and their team of experts can make you an expert in no time at all. Founded by a CEO that knows what it’s like to build a small business from the ground up, Freeback Wrench was created to help small businesses generate the most efficient online growth and expansion possible, making them one of the best digital marketing agencies. By helping you focus on what you do best and expanding on those areas, Feedback Wrench gives you a platform to shine on, and a platform to share your services from. A digital marketing agency that’s been on the scene for 18 years, iCrossing knows what it takes to get you the best possible results by tapping into the greatest insights, connections, and strategies they know, making them one of the best digital marketing agencies in the country. In addition to working with some of the biggest brands in the world, iCrossing has rich data and years of expertise in what they do, allowing them to tap into precious resources to get the job done. Started 10 years ago as a means to connect with clients around the digital world and give them amazing experiences and opportunities, Red Rock Interactive has since become one of the best digital marketing agencies in the country. The team at Red Rock is excited to work with you, and they love what they do, making it an ideal experience for both you as a business owner, and the leads you’ll gain from their expertise in SEO, analytics, and building digital strategies. Sebo Marketing is designed to help your business get more leads by implementing a 5 step process that takes you step-by-step down the right path for digital marketing and actionable results, easily making it one of the best digital marketing agencies in the country. 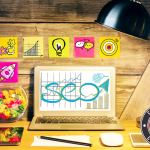 By first making sure that you have a functioning website, Sebo Marketing takes you down the line of analytics, SEO, data analyzation, and direction on gaining the right (and best) audience! One of the most integral parts of building your brand and your business comes with the visuals that represent who you are as a company. Amazing7 Studios is one of the best digital marketing agencies to help you with that process—experts in graphic design, the team at Amazing7 works to give you amazingly unique logos with graphic design expertise, the creation of merchandise, and coding of your amazing website! With over 10 years of experience in the digital marketing field, the team at Flynaut LLC knows what it takes to help you and your business climb up the rankings and find success! By helping your brand with an expanse of things—from website development to mobile optimization, to branding and design, and overall digital marketing strategies—Flynaut has the dedication and the drive to lead you towards growth, making them one of the best digital marketing agencies. West Coast Infotech has worked hard for over 10 years to make sure that businesses and companies alike get their chance to grow and expand online, making them one of the best digital marketing agencies. West Coast Infotech excels in finding your brand persona, giving you a platform to stand on as you glide through the digital marketing sphere. By making these as effective as possible, West Coast Infotech works with SEO, web development, and social media to get you the results you deserve. Started in 2009, Commerce Pundit is one of the best digital marketing agencies for people looking to expand in design, development, and eCommerce. The team at Commerce Pundit are here to help you design your own eCommerce store, either from the ground up with a custom build, or with things like data entry and listings of what you’re selling, and who you’re selling it too! A performance-focused, full-scale digital marketing firm, Where Is My Brand (or WIMB for short) is among the best digital marketing agencies. The team at WIMB are experts in every aspect of digital marketing, making them one of the best choices to up your online presence in the most effective areas, and in the best possible ways. With SEO, social media marketing, PPC, and content marketing, WIMB aims to give you results based on high performing areas and natural growth! When collaborating with SEO Eaze, you get your own dashboard of progress, analytics, and tracking of content that you’re sharing and curating around the digital marketing sphere, making them unique in their approach to marketing as a whole! One of the best digital marketing agencies, SEO Eaze specializes in all areas of online marketing, and with 4 core pillars leading the way—specialization, excellence, experience, and optimal solutions—it’s easy to see why 3,000 businesses have trusted them to get the job done! One of the best digital marketing agencies for local businesses is Flypaper, an all-inclusive digital marketing experience to get you off the ground and into the world of online marketing! Their services range across the spectrum of must-haves in the world of digital marketing, like social media management, reputation management, SEO and search engine marketing, and email marketing. Let the team at Flypaper give your local business a boost. Blue Label Labs collaborates with agencies, start-ups, and enterprises all over the world from their home base in New York. One of the best digital marketing agencies in the country, Blue Label Labs works to create apps for mobile phones, tablets, iPads, and websites, turning the online experience for your company into an expansion, and a chance for growth! On top of designing for you, Blue Label Labs will also work the marketing side, helping you with ad campaigns and SEO to build a reputation and rank high globally. 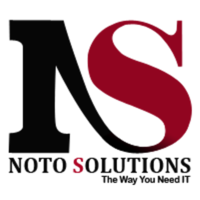 Rated top notch by the critics and influencers in the digital sphere, NOTO Solutions has a quick, agile, and experienced approach when it comes to the development of mobile apps, making them one of the best digital marketing agencies in the country. By combining the latest technology with their dedication to making sure that your design is of the best quality, it’s easy to see why NOTO is reviewed so highly among their clients. A company started 9 years ago, TECHTIC works with business big and small, far and wide, to produce the best possible results for your brand and your company. TECHTIC comes prepared with a team of experts covering a range of necessities in the digital marketing world, such as website development, mobile app development, SEO, and eCommerce strategies and preparations. A web development company that creates software and technology for startups, Artjoker Software is one of the best digital marketing agencies in the country, hands down. WIth top experts in every field, Artjoker helps you every step of the way in establishing your brand and your company, providing you with a mission and a social goal to meet with natural growth. A web development agency that covers a variety of topics when it comes to the necessities of online marketing, ARKA Softwares easily mingles with the best digital marketing agencies. Experts in every field come together to use their knowledge and skill, aiding you and your business in growth and generation! Online marketing, mobile marketing, web development, and strategy production are at the tips of their fingers and are tools they’ll use to bring you success. By building the technological world around you and your business, NMG Technologies allows you to focus on the things you know you can handle, making them one of the best digital marketing agencies in the country. With a range of development skills that allow them to create your website design, mobile applications, eCommerce development, and the creation of custom software, the team at NMG is truly one of a kind. Custom web development from a team of experts is just a click away with Dev Technosys, one of the best digital marketing agencies in the country. Giving you the best, most well-rounded services that revolve around the development of any kind, Dev Technosys is here to implement the best web strategies through mobile development, software production, and SAAS exploration. By staying on top of the latest trends in the online marketing sphere as well as in the technology realm, Thinsquare created one of the best digital marketing agencies by creating a top of the line agency that creates amazing websites designed to get you more leads and higher rankings! From website design or logo design to eMarketing that affects your SEO and social media presence, Thinsquare takes control of your website in the best way possible. Ranked and reviewed as one of the top app development companies, it’s easy to see why infiCare Technologies is also one of the best digital marketing agencies. By working closely to help you create unique software for your brand—as well as giving you insights on things like content marketing and SEO strategy—infiCare gives you solutions to your mobile marketing, as well as your website development. Started in 2008, DevBatch has been changing the game as one of the best digital marketing agencies for the last 10 years. With their cumulative experience over the years, the team at DevBatch uses their skills to give your company the best online experience possible by creating and designing amazing aspects that give you better results, and better leads. Custom development, mobile marketing—it’s all yours, regardless of how big or small your business may be. By using the expertise and skills gained through working with top Fortune 500 companies and brands, the team at The Bureau of Small Projects gives the same love and attention to small businesses, making their online presence just as undeniable and huge in feeling. As one of the best digital marketing agencies in the country, The Bureau of Small Projects specializes in the required areas of digital marketing, giving your business a chance to shine from a higher platform. It’s no secret that social media dominates the business sphere, and having one without the other is no longer an option. That’s where one of the best digital marketing agencies like Social Media 55 comes in handy—a team of experts who are educated in the various social media platforms, Social Media 55 will help you handle your accounts, the content shared from those accounts, and your website as a hub for all things related to your brand, and business. Bringing their experience with Fortune 500 companies to startups and businesses around the country, Intensify Digital works hard to be one of the best digital marketing agencies. With nothing but organic approaches to generating your digital footprint, the team at Intensify Digital works hard on every facet of your digital marketing strategy—web development, social media marketing, and brand strategies included. Winner of the 2017 Customer Service Choice Award, Search Berg has become one of the best digital marketing agencies through their dedicated SEO strategies that are designed to bring you results! The team at Search Berg works on every facet of your digital marketing from social media management, to content marketing, and web development. They know that SEO relies on amazing content, and they work closely with you to make sure that what you’re generating is going to bring you the top results you’re looking for. As a globally recognized mobile and website development agency, Quantum IT Innovation works as one of the best digital marketing agencies in the country, with hundreds of satisfied clients. Their services expand across the entire network of digital marketing—from SEO centric tactics to social media marketing and content creation, and app development that helps your mobile marketing, Quantum IT is truly a one-stop destination for every need you have. KitelyTech is run by a team of analytical minds who understand the big picture, and are ready to make plans and give you the best tactics and techniques for success with your online marketing. With experience among the biggest brands in the country, KitelyTech is expertly trained in a variety of must need skills for your marketing journey, and as such, will give you top results in SEO marketing, SAAS strategies, and web development, making them one of the best digital marketing agencies in the country. Offering their plan in a three-part series is Firewood Marketing, one of the best digital marketing agencies in the country! The team at Firewood Marketing works hard to make sure that you’ve covered from start to finish, giving you creative and tactical strategies to use in order to climb the ranks in the best way possible! Considered SEO and PPC experts as well, it’s easy to see why Firewood Marketing is among the best of the best. Started in 2003 when online marketing was just becoming a large impact on the online world, Hudson Integrated has been there since the beginning, earning their spot as one of the best digital marketing agencies in the country. By creating custom and high-end websites for their clients, the team at Hudson Integrated can guarantee you the best scalable results, and the years of experience they have as a firm and a team really make them shine! One of the best digital marketing agencies, Page 1 Solutions works hard to generate more quality leads for your business by an in-depth management of your digital marketing strategies from all angles. By using comprehensive campaigns across the board, the team at Page 1 Solutions works hard to identify what your strongest channel is and give you the best possible results in your social media marketing, SEO marketing, and PPC marketing, just to name a few. A show, don’t tell a company, Owen Jones takes the creative approach in their brand marketing, making them one of the best digital marketing agencies in the country. With a team full of experts in the marketing game, Owen Jones uses imagery and creativity to tell stories about their own business, and believe the very same can and should be done for others as well. Let them take you on a visual journey to find your brand and your best business self. Founded in 1999, Sync Interactive has over 20 years of experience in the digital marketing field, making them among the best digital marketing agencies. Helping people in our backyard of Portland, Sync Interactive knows the best ways to bring businesses top results when it comes to things like website creation, slick and crisp designs, and SEO tactics that are sure to cause growth and expansion for your brand. Rated as one of the top SEO firms of 2017, Anvil Digital Marketing has the experience you need when it comes to upping your digital marketing game. Since 2000, Anvil has been working to deliver the best possible results with cutting-edge digital marketing resources, giving business and entrepreneurs a chance to rise to the top! By focusing their spread on organic SEO generation, social media marketing, and paid media, Anvil is certainly one of the best digital marketing agencies in the country. With a wealth of clients and awards for their amazing services and work, Bonfire Marketing is certainly among the best digital marketing agencies. Through authentic and organic marketing, Bonfire is able to help their clients meet their maximum potential, using their name to reflect what a bonfire truly is—a way to connect and spark something new in something else. With proof based and data-driven marketing on their side, Bonfire is easily among the best! With a strong belief in companies and businesses taking control of their brand, and what they wish to do with it, Connective DX works closely with business owners to set them on the right path for success, easily making them among the best digital marketing agencies in the country. Started in 1997, the team at Connective DX has years of experience in the digital marketing field, and will work with you to create a strong plan that will lead to real, actionable results! Mad Fish Digital is all about guiding their clients towards success and giving them the best pieces to solve the digital marketing puzzle. In fact, they’re so serious about client relationships, they’ve written (and abide by) their own Code of Ethics to guarantee that you’re getting the best possible service! Additionally, heir unique and expert take on PPC and SEO lead the way with marketing strategies, making them one of the best digital marketing agencies. Built from the ground up by hardworking experts in the digital marketing field, the team at Midas knows that digital marketing isn’t just something you pay for, it’s something you invest in. They’re committed to giving you the best of the best when it comes to real results through SEO marketing and services, web design and development, copywriting and content creation, and so much more, and with how hard they work, it’s easy to see why Midas is one of the best digital marketing agencies. One of the best digital marketing agencies that focus on conversion rate optimization, SEO, and PPC campaigns, Decoder Digital gives you a hands-on approach to getting direct results and higher lead generation! By working with the Decoder Digital team, you’re sure to see growth continuously, with your business reach expanding as well. Let Decoder Digital lead you to higher traffic and quality leads! An agency that heavily focuses on content marketing and results that come from quality work is CopyPress, one of the best digital marketing agencies in the country. It’s no secret that digital marketing nowadays is heavily dependent on the content you’re writing and sharing, and agencies like CopyPress are here to make sure that your work is consistent (with their digital calendar) and creative, causing a positive response from your target audience! The team at CP Solutions understands that your life can be busy when you’re running your own business, and having time to deal with digital marketing strategies on top of everyone else on your plate can be stressful. That’s why they want to help you and your team get the best online results by bringing on their top experts in SEO marketing, content marketing, graphic design, web design, and more! Let their team help you run your business and see how much you grow in the process. Thrive Hive—previously known as Propel Marketing—is one of the best digital marketing agencies in the country that offer paid services, as well as free resources! By choosing Thrive Hive, you’re getting a team of experts that’ll help you with things like step by step platform marketing, expanding your reach across the web and giving you an edge up against your competition by mastering lead generation! For people who work in the automotive industry, Naked Lime is one of the best digital marketing agencies for you. By lending their expertise to car dealers and business owners who work in the car dealership world, Naked Lime provides their digital marketing expertise in the way of quality lead generation, SEO marketing, and targeted marketing, making them unique in their category. Started in 2006, NETPEAK has been delivering top SEO and PPC marketing strategies for years, making them one of the best digital marketing agencies in the country. When you collaborate with NETPEAK, you get a team of experts that know their way around SEO marketing, giving you the best chance to not only climb the ranks but make yourself known and give your business a chance to grow in the process. Regardless of how big or small your business may be, the team at Logical Position aims to give you performance-driven results with their in-depth knowledge of the marketing world to give each aspect of your business the proper attention it deserves. As one of the best digital marketing agencies, the team at Logical Position wants to make sure that you’re taken care of and will offer you top of the line marketing in SEO, PPC, and creative services for your website. One of the best digital marketing agencies in the country, WordStream focuses on giving you the best online advertisement possible. Using their own software is just the start—the team at WordStream is also proficient in AdWords and Facebook campaigns, making sure that you’re performing at high levels across every platform possible! Analyze, optimize, and maximize—that’s the three-step process at WordStream, and time and time again, it pays off! ROI—or return on investment—is important when you’re thinking about the way your business will function in the future, and ROI Revolution is one of the best digital marketing agencies in the country that understand that notion, and can help you improve your strategies for the best end game results! Paid media marketing, SEO, and conversion optimization are just the beginning when you collaborate with ROI Revolution, and their experts are the best of the best. When it comes to digital marketing, there’s no one way to get the best results for your specific business, and that’s something that Ingic understands very well. Instead of creating a technique from the get-go, the team at Ingic offers a wide range of digital marketing options—such as SEO, social media marketing, and email marketing—allowing you to pick which services are needed and allowing those experts to help your business out. Agency Within is what’s called an “in-house” marketing agency, making them one of the best digital marketing agencies in the country! Together, they work with your team and embed themselves in your company to give you top of the line results from within. Expertise in all necessary fields—SEO, content marketing, social media marketing, and lead generation—are easily applied as Agency Within builds your business from the inside out! When you’re in the real estate world, being on top of your digital marketing is important to achieving success, and thankfully, that’s where G5 comes in handy. One of the best digital marketing agencies in the country, G5 covers every aspect of digital marketing for real estate agents—from digital advertising to SEO, to analytics and creative web services, the team at G5 works hard to make sure you’re getting the highest ROI you deserve. Reprise Digital is one of the best digital marketing agencies due to their willingness to get down to brass tax and rewrite the way digital marketing is supposed to work for businesses, small and large. The team at Reprise Digital doesn’t stick to the status quo—by combining their expertise and quick minds with a hint of creativity, they bring their own flavor to what digital marketing should be and provide you with the best possible service in the process, truly making them one of a kind. Regardless of who you are, or what you do, Bell Media is one of the best digital marketing agencies that’ll give you actionable results to progress your business. Catering to a vast field of clients, Bell Media has a team of experts that are trained and ready to give you the best of the best when it comes to content marketing, social media marketing, SEO, advertising, and so much more. Nebo Agency roots itself as a human-centered digital marketing agency, making sure that you know how much they understand the importance of human interaction and contact. The digital marketing world can quickly turn into all tech talk if we let it, but Nebo Agency wants to make sure that you remember the human touch needed to make your services work, and that’s why they’re one of the best digital marketing agencies in the country. With experts already waiting to help you craft and mold a digital marketing strategy that works for your needs and your business specifically, G/O Digital Marketing is among the best digital marketing agencies. Strategies work differently for everyone, and being treated as the unique business you are is exactly what puts G/O Digital Marketing on the map! Brand building, content strategies, and retargeting is just the beginning when you collaborate with G/O Digital Marketing. Founded in 2003, TopSpot Internet Marketing has been proving themselves as one of the best digital marketing agencies in the country. Helping local businesses as well as B2B agencies and everyone in between, TopSpot uses their team of experts in varying fields of digital marketing to showcase your business, your services, and what you can offer the world with your branding through top-of-the-line search marketing. When you’re a local business, online marketing might seem like something you can’t really tackle on your own, if at all. Vivial makes that job easier than ever by helping you tap into the power of the internet for your local business, making it one of the best digital marketing agencies in the country. By ensuring that you’ve got the tools for success—mobile accessibility, SEO tactics, and social media marketing—Vivial makes it easy for you to make yourself known. One of the most important aspects of digital marketing is advertisements and ad campaigns, Adpearance, one of the best digital marketing agencies based right here in Portland, gives you the best all-around coverage for your adspend and guarantees to put your name on the board! Through website creation, digital branding, and social media marketing, the team at Adpearance is dedicated to giving you the best platform to grow on! Advertised as the “most advanced technology platform in the automotive industry,” Team Velocity Marketing is clearly among the best digital marketing agencies for car dealerships and businesses that follow the car industry! Team Velocity is dedicated to giving you the best digital marketing advancements in one place, combining your efficiency and giving you a way to maintain every aspect of your business from one easy place. When you work in the eCommerce world, you want to make sure that you’ve got one of the best digital marketing agencies watching your back and helping you grow. That’s where E-Dreamz comes in handy—located in North Carolina, E-Dreamz is the premier eCommerce agency for people in the B2B and B2C marketing world, and their team will provide you with the best services to help grow your business, as well as giving you the chance to learn from the best so you can create and expand on your own time! And… that’s all she wrote! I know, it’s a lot to take in all at once, but we believe that you shouldn’t be second guessing what you should do for your business just because of a large number of agencies out there. Everyone could use some help here and there, and business owners are no exception to that rule—you’ve already got so much on your plate, and letting some of the best digital marketing agencies give their expertise, time, and dedication to your cause is the best way to make your footprint in the digital world!